Vero is forking out more money in its takeover bid for Tower, upping its stake in the insurance company to 19.999%. Vero, which is wholly owned by the Australian giant Suncorp, has agreed to pay 10 cents more per share than it had previously offered, to acquire another 6.7% of Tower’s shares. It has agreed to buy the shares from Perpetual Limited for $1.40 each, increasing its stake in the company from 13.291% to 19.999%. The $15.8 million deal will be settled on March 16. It comes further to Vero at the end of February agreeing to buy 13.291% of Tower’s shares for $1.30 each, and making a non-binding indicative proposal to buy the rest for the same price. Vero made “escalation payment” agreements with the sellers of these shares, which mean it will have to pay them the difference between what it paid them per share ($1.30) compared to what it has subsequently agreed to pay Perpetual per share ($1.40). The purchase from Perpetual will therefore cost it another $3.4 million in escalation payments. 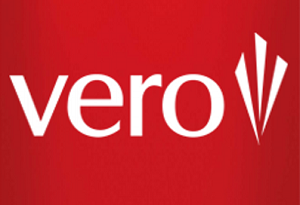 Under trading rules, Vero will have to offer all Tower shareholders whatever price it pays for any more shares it buys to bump its shareholding over 20%. Tower's share price rose 6% to $1.40 after the announcement regarding Perpetual was made on Tuesday. As at 11am on Wednesday, it has eased back to $1.37. Tower Chairman, Michael Stiassny, says the Board’s advice to shareholders remains unchanged. “The Board’s primary focus remains to optimise value for all our shareholders. In order to do so, we need to carefully evaluate all options before making a recommendation. “While we are pleased to see Suncorp has recognised additional value in Tower for a minority of shareholders, it is unclear whether the $1.40 per share will be available for all Tower shareholders. Vero is battling the Canadian company, Fairfax Financial Holdings, for ownership of Tower. Tower on February 9 announced it had entered into a ‘Scheme Implementation Agreement’ with Fairfax, whereby Fairfax would buy all Tower’s shares for $1.17. This proposal was unanimously approved by Tower’s board of directors, while Salt Funds Management and ACC, which collectively hold 18.1% of Tower shares, also committed to supporting it. Tower’s share price had fallen as low as 69.5 cents before Fairfax announced its intentions to buy the company. The insurer has battled in the wake of the 2010/11 Canterbury earthquakes, proposing to separate out its quake-related business from the rest of the company. If Vero is successful in its bid to buy Tower, its share (along with its partner AA Insurance) of New Zealand’s general insurance market will increase from 25% to 30%. It has applied to the Commerce Commission for the sale to go ahead. Tower will hold a Special Meeting on a date yet to be confirmed in late April for shareholders to vote on Fairfax’s proposal. Tower’s Annual Shareholder Meeting will be held on March 30. "If Vero is successful in its bid to buy Tower, its share (along with its partner AA Insurance) of New Zealand’s general insurance market will increase from 25% to 30%." The right question to ask is what is the revised share of Domestic GI market. Tower only played in this area. I absolutely agree. If Suncorp takes over Tower, almost all of the domestic insurance market will be taken by two players - IAG and Suncorp. Therefore how come the Tower chair waxed lyrical about the Fairfax deal at $1.17 when it first emerged when obviously that was a gross under valuation of the worth of business. How exactly could this happen?Shareholders have every right to feel more than aggrieved about that and ask some pretty hard questions accordingly. Of course behind the scenes lobbying in high circles, might have a distinct possibility of persuading the Commerce Commission to harpoon the Vero bid. Then the Chair might be able to say I told you so & Tower, board staff and agents would all be much relieved, one would think. Does not answer the above question though. It's only became a 'gross undervaluation' after the Vero bid popped up. Staissny was (presumably) unaware a trumping bid would come from Suncorp when he said that. Yes fair enough except perhaps, supposedly might ring truer than presumably. But still, you could advance your theory slightly. Maybe the master plan was always to create a bidding war. Obviously Suncorp, and by recent comments, with support from AIG do not want a big player like Fairfax getting a toe hold in the region and the bid by Fairfax was the catalyst to get Suncorp off the fence and active. Anyway take your point, nobody pre Fairfax would have predicted a Tower share price at $1.40. Just goes to show what distortions can occur when the big boys get involved in the flotsam and jetsam of our little sharemarkets and economy. I suspect Suncorp would have been wanting tower for a long time as they lack a strong direct market brand, compared with IAG. AAI is a JV, not 100% owned so they don't have full control. I like your conspiracy theory about IAG and Suncorp working in concert to exclude Fairfax but doubt IAG would willingly support Suncorp to build its direct market presence. Scale is critical in that segment and IAG would probably prefer a smaller stand alone operator to compete with, rather than an Aussie giant with muscular existing infrastructure it can apply to build Towers market share. insurancebusinessmag.com. Scroll down 4 or 5 points.